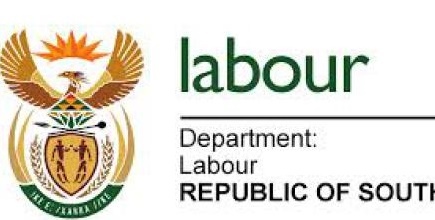 The Department of Labour Inspection and Enforcement Services (IES) branch is currently as part of its work plan; conducting Director-General Reviews to designated employers where 72 JSE listed companies operating in different sectors were identified as subject of reviews. The reviews started in July 2017. The sorry picture was painted today (October 30) during a Departmental stakeholder briefing breakfast session held under the tagline – “We strive for transformation”. A total of 41 employers were issued with the Director-General Recommendations and given 60 days to comply with the recommendations. A total of nine employers are undergoing prosecution for failure to prepare Employment Equity Plans. Areas of non-compliance include: lack of properly constituted consultative forums; employers preparing EE plans that are not informed by a proper audit and analysis; Assigned Senior EE Managers are junior staff who do not have the necessary authority or resources to execute their mandate as required by Section 24; Employment Equity Plans prepared do not comply with the requirements of legislation; Employment Equity Reports (EEA 2) as required by Section 21 are not informed by an EE Plan and submitted to the Director-General without proper consultation; there are no communication strategies in place to inform the employees of the EE Act and failure to keep records as required. The Director-General Reviews is part of a legislative requirement in terms of Section 43-45 of the EEA. It empowers the Director-General to conduct reviews to determine the extent to which an employer is complying with this Act. The reviewed companies are in Finance and Business sector; Electricity, Gas (Chemical) and Water; Construction; Manufacturing; Retail & Motor Trade; Catering, and Accommodation Sector. Labour Deputy Minister, iNkosi Phathekile Holomisa said a transformed labour market was one that was committed to the promotion of accessibility of top management positions to women, and one devoid of favouritism of one racial group over another. Holomisa said that of the 50 companies interrogated it was sad that none was in compliance. “This is, of course, totally unacceptable, are offensive, smirks of arrogance and constitutes a declaration of war on the Department in particular and on government in general. Such impunity cannot and will not go unchallenged,” Holomisa cautioned. The EE Act is currently a subject of discussion at Nedlac ahead of amendments to link doing business with government to compliance with EE legislation. The amendments also seek to strengthen powers of the inspectorate among others. Department of Labour Chief Director Statutory & Advocacy Services, Advocate Fikiswa Mncanca said that EE implementation was not an event, but a process. Mncanca said employers continue reporting without EE plans, non-implementation of EE plans; appointment of EE managers wihout providing necessary support and authority, and a lack of transformation. Commission for Employment Equity (CEE) Chairperson, Tabea Kabinde said EE stats tells the real story of Apartheid. Kabinde said despite the Commissions efforts last year through sector engagements to engage Chief Executives, these were not interested, instead chose to delegate junior employees to interact with the Commission. Kabinde said the sector engagements turned into a lamenting exercise, and demonstrated a lack of will from company boards. She lamented the practise of gate-keeping which she said was preventing transformation. She said the Commission welcomes the promulgation of EE legislation to link it to State contracts. Kabinde said the Commission also wants amendments to legislation to allow for the setting of sector targets. She said the CEE has commissioned a research on the impact of migrant labour in the labour market and was intent on its advocacy work. The Commission for Employment Equity is a statutory body established in terms of section 28 of the Employment Equity Act. Its role is to advise the Labour Minister on any matter concerning the Act, including policy and matters pertaining to the implementation of the EE Act. Pay Solutions are not responsible for the content as displayed on the Department of Labour website.